A furnace that isn’t working the right way not only fails to heat your house properly, but it can also end up costing you a lot of money in the long run through its lack of efficiency. Fortunately, there are ways to get just what you need to make your furnace like new again. Halo Heating & Cooling can repair your Nashville furnace or replace it with a new one, so you can have a warm, cozy house all winter long. You can save on your heating bills, too, when you get your furnace tuned up by the pros or choose a newer, more energy efficient model that meets your needs. If you need your furnace repaired or replaced immediately, call our techs now at (615) 383-4822 and we’ll be out there as soon as humanly possible! Nashville furnace repair is important when you’re getting ready for the winter months. Before it gets too cold, consider having your furnace inspected. You don’t want to turn it on when you really need it and find out that it isn’t working properly. Emergency furnace repair in Nashville, TN can be more costly than getting things fixed and in working order before cold weather arrives. Fortunately, you can get your furnace repaired day or night by calling us. We are always available to help with heating repair in Nashville to keep you and your family comfortable. With residential furnace repair, you can get exactly what you need from your heating system and have a comfortable home. When it gets close to cool weather, that’s the time to turn the furnace on and see if you need any repairs or maintenance. Sometimes, after sitting idle all summer, your furnace may not work the way you expect. Finding that out when it is already cold outside is not fun, so checking your furnace as fall arrives is the best way to make sure you have time to get it fixed. The Nashville HVAC repair business gets much busier after the first cold snap, so you will be glad you had your furnace repaired early. We offer affordable furnace repair of your gas or electric furnace, to give you a properly working HVAC system no matter what type of system you have. Electric systems are very popular in the area, but by offering gas furnace repair in Nashville we can provide a higher level of service to more people. If you need heater repair in Nashville, TN give us a call and let us give you an estimate on fixing your furnace so you can have peace of mind. Like many homeowners, you may carefully maintain your furnace throughout the fall and winter, and before you shut it down for the spring and summer months. No matter the care you take with your heating system, though, you will still need repair of your gas or electric furnace, simply because parts eventually wear out from use. When the parts of your furnace get too much wear on them, they will break. Of course, you do not always have to wait until something breaks before you call for home furnace repair in Nashville. Often, you can tell that you’re going to need repair before something actually breaks. You may find that the system is not cooling as well as it used to, or that your electric bills are getting higher and higher. If that was taking place last winter, before you turned your furnace off for the spring, it has not fixed itself while it was not being used. 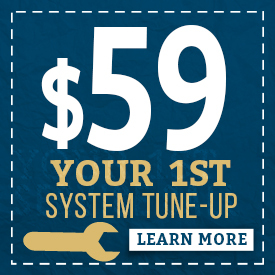 Repair costs can be lower when you get something fixed before it completely breaks down, so calling us when you notice problems is a great way to keep your HVAC system going strong. At Halo Heating & Cooling, we want to be your company of choice for Nashville, TN furnace repair. We have what it takes to make sure your system is working optimally, and with as much efficiency as possible. Whether your furnace is nearly new or you have been using it to heat your home for a long time, you want a furnace repair company in Nashville that you can trust and rely on. We are that company, and will provide you with Heavenly home comfort for all the seasons. Our HVAC experts are committed to making sure you can heat your home properly. Call us anytime when you need heating repair in Nashville, TN. We will be happy to send a technician to your house, to determine if you need repair – and what kind of repair you actually need. We also offer a plan you can sign up for, to make sure you get a discount and are prepared for anything that could go wrong with your furnace during the winter months. It is called the Halo Comfort Club, and also includes a 21-point inspection to catch any problems before they start. When you need furnace repair Nashville, you want to make sure you are getting good service from the right company. We are standing by, ready to be that company. Halo Heating & Cooling can give you the Nashville furnace repair service that you really need, with the quality that you expect and deserve. Our trained experts have been background checked and are true professionals who will offer you a high level of heating and cooling service. You can expect them to arrive in professional attire, do their job correctly, and leave your home just as clean as they found it. We also offer you a two-year guarantee on the workmanship, and a 100% satisfaction guarantee. Our labor quality is the best in the business, and we can provide the parts you need for your furnace at low prices. That gives you the best of both worlds, and helps ensure that your experience with us is affordable and high quality, so you can have a warm, comfortable, cozy home that will not cost you too much. Give us a call today at (615) 383-4822, and let us get your furnace inspected, repaired, and ready for winter.